Link baiting is a concept that is often discussed in SEO, but is not widely understood. Some regard link baiting as a method and other people believe it to be something that is associated with quality content. So what exactly is this? Let us elaborate in detail. In the simplest of terms, link baiting can be defined as something that is interesting enough to grab attention, and it does not always have to be negative. In other words, it can be used as a terminology for valuable octant that provides benefits to the readers. 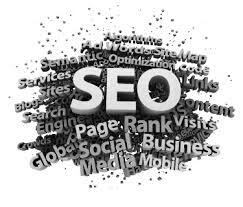 These definitions are a little subjective and some industry professionals regard link baiting in a different light and believe it to be any content that is capable of generating more links and this more traffic. So what does link baiting have to do with SEO? If you use link baiting, you can improve your off-page SEO techniques. Why should you use link baiting? Link baiting refers to content that is interesting and valuable. How can it affect your ranks? Simple, such content can help you in creating more inbound links. People will like your content and so they will be more interested in sharing it with others. Just take note of one thing: target keywords in your content and you will be able to boost your ranks more. In a lot of instances, link baiting content can be viral, which helps it act a major source of traffic. Needless to say, the more the traffic diverted to your website, the more the visitors will show an interest and leads will turn into conversions. As long as your call-to-actions are strong and effective, there is a very good chance that you will be able to increase sales. As already mentioned, link baiting is content that is shared more. Naturally when this happens, you will be exposed to more people and will be able to target a bigger class of audience. Which type of content will work for link baiting? The definition of link baiting varies with people and so does the type of content that can be regarded as link baiting. In order to find the most perfect type, you will have to experiment and then analyze the results. Different strategies are going to work in different markets and for different product lines. We can help you with this by discussing that type of content which generally works best for link baiting. If you publish only original data, media will follow you, increasing your popularity. This will also help you with link building as something original is likely to be shared more. Controversies are not always nice but they always grab attention. If you have an opinion on some controversial topic, share it and let others hear you voice. Visual content is another great choice for link baiting. You could share videos or infographics both of which will provide you with more exposure.